Our service is guaranteed with a disciplined approach to understand the needs of our clients and help them with first class service. 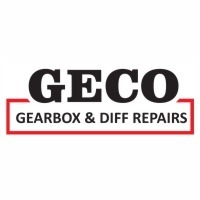 Geco Diff & Gearbox Services cc was established in 1989 to render quality repair services to the commercial transport industry. The services that we specialise in include the repair of Gearboxes, Differentials, Front & Rear Axles and Steering Units of Mercedes Benz, ZF, Fuller, Astas, Eaton, Daimler, Volvo and Scania with a trusted warranty. We are an independent and sophisticated family business situated in Centurion and we believe in encouraging our clients to treat us as partners in their business.Our drive for excellent service and exceptional delivery time has been entrenched in our working culture with a result that we are a preferred and trusted partner in the transport industry always keeping in mind our promise to our clients for effective cost control. We take pride in our people and our premises and strive to deliver within 24 hours. We are committed to form long term working relationships with all our clients. Tags: repair of all truck gearboxes, differentials and steering boxes. Mercedes Benz, ZF, Fuller, Astas, Eaton, Daimler, Volvo, Hino, UD Nissan and Scania.